Finding time alone for deep thought and meditation is not an easy thing to do in our busy, noisy world, especially when we have others depending on us. 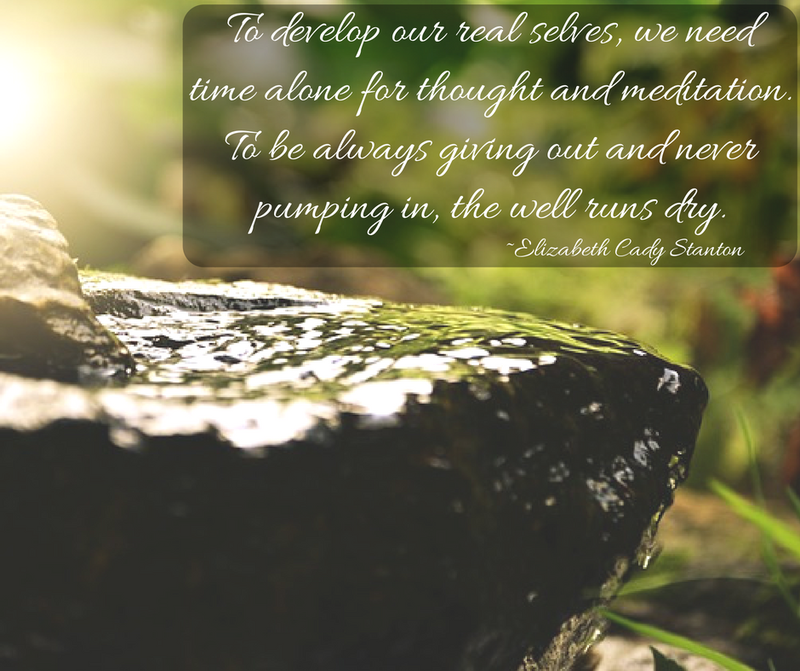 But creating space for those times is crucial to keeping enough water in our own well for us to be able to give to others and to become our fullest selves. When was the last time you made space for time alone to think and to meditate? How might you incorporate more of that time into your life?